French Settlement's Payton Clouatre gets a double to start the game against Springfield. 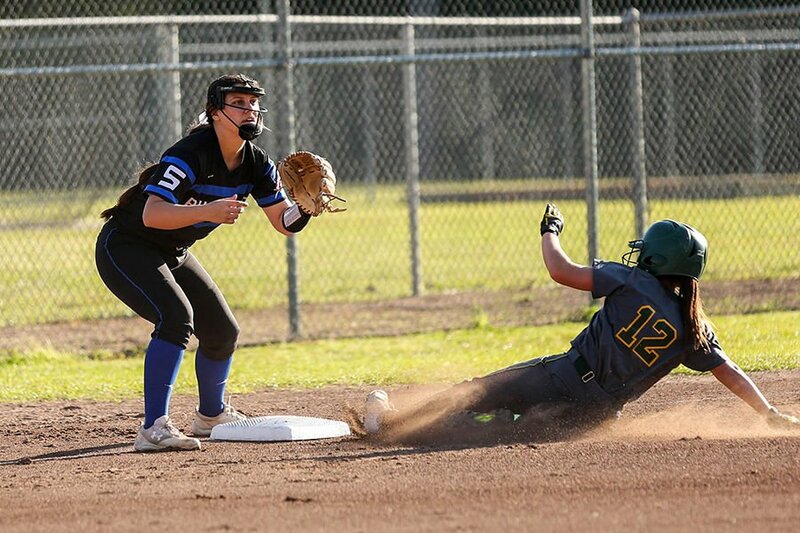 French Settlement's Payton Clouatre slides into third as Springfield's Kaylie Dorsey waits on the throw. Lady Bulldogs Catcher Cheyanne Morris makes a tag as French Settlement's Payton Clouatre attempts to score. Kaylie Dorsey tries to get the Lady Bulldogs back in the game with her hit early against the Lady Lions. French Settlement's Payton Clouatre catches a foul ball past third base early against Springfield. Springfield pitcher ReNay Edwards works against French Settlement. French Settlement's Jackie Crosby rounds third base and scores early in their game against Springfield Tuesday evening. Kaylie Dorsey is all smiles as French Settlement's Sarah Petite congratulates her on her home run. Springfield's Kaylie Dorsey is welcomed by her teammates after her two-run home run against French Settlement. Springfield pitcher Kaylie Dorsey works against French Settlement. Springfield's Kaylie Dorsey works against French Settlement. Lady Bulldogs K. Dorsey sends one down the pipe as they take on the Lady Lions of French Settlement. French Settlement second baseman Jackie Crosby gets the force out and sends the ball to first. French Settlement third baseman Sarah Petite gets the out on a foul ball against Springfield. French Settlement first baseman Addison McMorris makes the stretch and stops the ball on an attempted pickoff. Third baseman Sarah Petite sends the ball to first to get the out late in the game against Springfield Tuesday evening. Springfield coach Ashley Ledet talks with Kaylie Dorsey, Crissy Edwards and Tabby Lobell during Tuesday's game with French Settlement. Kaylie Dorsey slides in under the throw as French Settlement pitcher Brtiney Metlton stretches in an attempt to catch the ball. Lady Bulldogs shortstop Tabby Lobell throws to first to get the out against French Settlement. French Settlement pitcher Jackie Crosby and the Lady Lions won three games last week.